EDLP International has vast experience working with Men college soccer and Women college soccer who want an exciting International soccer tour experience in Argentina. Each year, many college soccer teams travel to South America with EDLP International and they compete internationally in the spring or during pre-season. EDLP International has a wealth of experience working with Men and Women college soccer programs of all levels, from top Division I colleges to NAIA colleges. What can your college program expect on an international soccer tour? A first class soccer tour. Competition against Men or Women soccer teams of appropriate level for your college soccer program. Quality fields and facilities available for soccer training every day. Access to high-level Argentinian soccer coaches to train your team. Visits to professional soccer matches, training sessions and/or pro soccer team facilities. An excellent balance of soccer development and exciting cultural sightseeing activities for the college team. The soccer tour and soccer travel program will be organized according to the needs and wants of your soccer team EDLP International will select the most suitable soccer opponents for friendly soccer matches. We can also arrange soccer clinics and soccer camps. 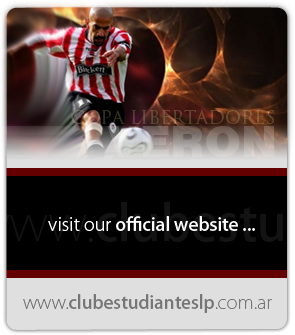 EDLP will prepare a custom-designed program for each soccer tour . Admission fees for certain tourist attractions are not included. We offer numerous cultural travel recommendations and can book special requests for your soccer team. 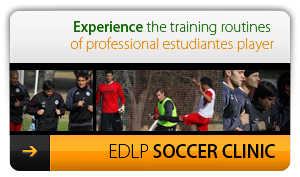 At each soccer tour you will be hosted by a local, bilingual EDLP Representative and the International director. EDLP International selects accommodations with great care . Each location has been checked by our staff. Most accommodations have been used for many years with great satisfaction by other soccer teams. The choice of accommodations depends on the budget of each soccer team. We offer many lodging possibilities, including school dorms, budget hotels, business-class hotels, youth hostels and sports centers. Meal arrangements are usually FULL board (breakfast , lunch and dinner each day). Transportation within Argentina is by motor coach equipped for long distance travel - the most convenient way to transport your team while on a soccer tour. All have reclining seats, refrigerators for drinks, and stereo systems. The bus will be at the soccer team’s service from arrival until departure. One free place is given with 25 paying persons on a soccer tour, with a minimum of one per soccer team.